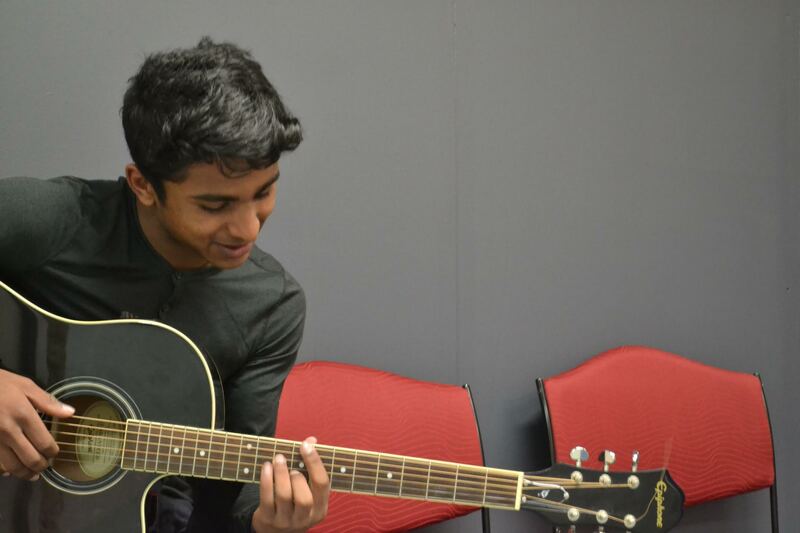 The guitar is an incredibly versatile instrument, which spans many genres and styles of music. You will find that almost every guitarist has a different feel, and develops their own style of playing. It is vital to nurture this development of the individual creative flare, while developing proper technique and understanding at the same time. At Doncaster Music Centre we offer professional Acoustic and Electric Guitar Tuition to people of all ages and levels. 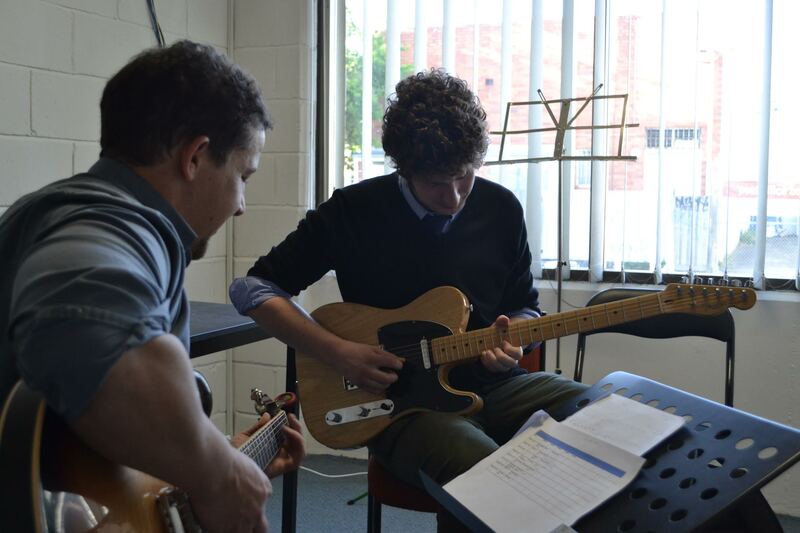 Our guitar lessons are catered to the individual- so whether you aspire to become a classical guitarist, play solos like Angus Young or just simply strum a few chords together- we can help you out. As people we are all different, and learn in different ways. All our lessons are one on one with the teacher, not in groups or classes. This ensures students receive the teachers undivided attention, and get the most out of a lesson that is tailored to suit their needs. Examinations are optional, as many students prefer to play for fun rather than for academic achievement. 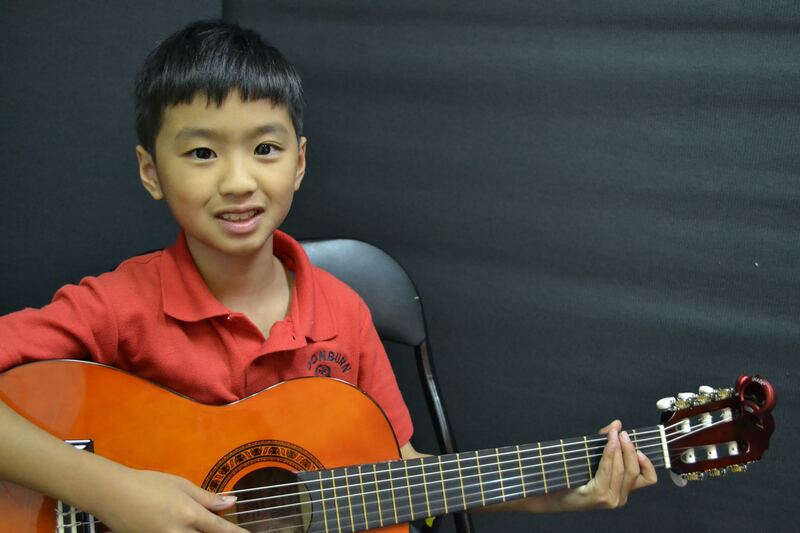 Should a student wish to undergo examinations, our teachers are qualified to take students through either CPM(contemporary popular music) or Classical Guitar exams. At our location in Jackson Court, Doncaster East, we have private rooms so that the student is able to focus on the lesson without distraction. We have available spare guitars for students to use in class if they are unable to bring in their own instrument. With over 30 years experience in music education, Doncaster Music Centre offers the highest quality Guitar Instruction- whatever the students needs. We pride ourselves on having developed a style of teaching that is both fun and productive- taking into account what the students individual needs and goals are, whilst instilling proper technique and knowledge of the instrument. If you would like extra information or to enroll in a guitar class, call James now.